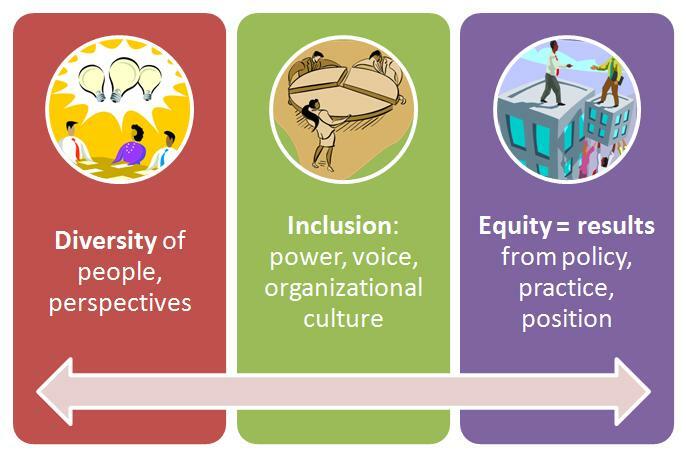 We were heartened to see and hear the many conversations about racial equity during the main conference proceedings, and noted good and challenging questions and exploration about the fit between the Collective Impact model, such as it has been formally presented and understood, and community organizing and power building work. These conversations continued in some form or fashion during our session. Since the workshop concluded, thanks to the wisdom and insight of those who joined us, we have amended the questions and expect that they will continue to evolve. We offer these for consideration and continued refinement by others. We hope you will share your reactions, additions and adjustments and how these are useful to your social change work. What are the issues/problems you are working on? How does racism influence or produce those issues? How do the levels of racism manifest themselves in the context of these issues/problems? What is your common agenda? How (if at all) is racial equity explicitly called out as part of the agenda? Changing the systems that produce the issues/problems you are working on (shifting the purpose of the systems – for what and for whom they are designed, advocacy/policy change, shifting resource flows, etc.)? Who sets the common agenda for your Collective Impact work? Whose thinking drives the analysis of the situation and creation of the goals? How do your strategies and programming address the various levels of racism? Which level(s) of racism do your strategies and programming address most directly? How might your strategies and programming actually reinforce or exacerbate the various levels of racism and other systems of oppression (e.g., classism, sexism)? How might an analysis using the systems thinking iceberg yield new ideas about where and how to intervene in the system you are trying to change? To what extent does your Collective Impact effort strive to build power and support community organizing? How are you collecting and using disaggregated data to understand differential outcomes? How are you acknowledging and accounting for different ways of knowing? How are you creating a culture and process of learning and celebration into which your measures of progress and lessons learned can flow? How are you linking data to narratives that focus attention on systems change rather than individual blame? How are you determining short-term and long-term indicators of progress? Who is around that table? How are you combining data and narrative to help people understand causes and solutions? How accessible are your communications to people who have limited literacy or are learning English? How deliberate are you about cultural representations? How do you avoid tokenizing your constituencies? Do you use language that affirms people’s humanity rather than reduces them to a single characteristic? How are you using narrative to promote a race-explicit approach/counter narratives that resist a race-explicit approach? Do you use language or imagery that triggers unconscious bias? How are you using narrative to promote a systems change approach/counter narratives that resist an individual-change or blame the people approach? How do you refer to the people who are affected by your work? Are they partners? Participants? Clients? What does that language suggest about power relationships within your work? How does the backbone organization understand its accountability? To whom is it accountable? How does it operationalize that accountability? How diverse, inclusive, and equity-minded is your backbone organization (in all of its operations, including the collective impact work)? How ready is your backbone to advance a racial justice agenda? How does the backbone organization relate to the steering committee and other groups within your structure? Where does decision making happen? How transparent is the backbone about this? How explicitly does the backbone create space for partners and people from affected communities to develop their voice and exercise their agency? How are the people most affected by the issues you are addressing involved in decision-making? How are you creating opportunities for them to develop their leadership skills and voice? Is there a critical mass (enough people) to avoid tokenism? Who else is at the decision-making table in your effort? If you have a paid membership structure, does decision making flow to those who contribute the most financially? If you are engaging or serving with low-income communities, how can you avoid assuming that middle class people of color speak for low-income people of color? How are the levels of racism present in your governance structure? In the operations of your partners? How are you addressing this? How is your work nurturing ongoing, healthy webs of relationships? How are you making space in your structures for authentic relationship building and mutual respect? How are you acknowledging and leveraging strengths, knowledge, and other assets throughout the community and among the many partners? What explicit efforts are you making to learn about racial equity and build skills to pursue it? * This element is not explicitly called out in the five elements of Collective Impact. In our practice at IISC, we have seen the importance of being proactive and thoughtful about developing leaders and developing structures within the initiative that reflect and reinforce the initiative’s core values.